England are one of those teams that look good on paper, are highly-rated by the media before any major tournament, only to deeply disappoint. Well, the Fifa World Cup 2018 story is a slightly different one with nobody expecting too many big things from England this time around. To get to the last-eight, though, England first need to qualify for the round of 16 from Group G, and with Belgium also there for company, Southgate's side will know there really is no room for errors. Tunisia are a team that England have faced before in the World Cup, with the latter coming up trumps 2-0 in the 1998 World Cup, a match that the current manager Southgate featured in. 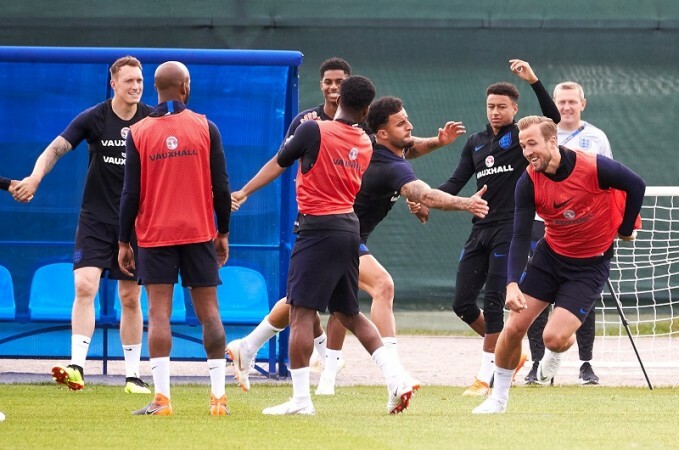 That style is expected to be an all-action, high-press style, although England will also need to have some creativity about them for this game, since they will be the ones with the majority of the possession. Marcus Rashford suffered a slight injury last week, but has trained this weekend, so should be available to come on from the bench. England: Jordan Pickford; Kyle Walker, John Stones, Harry Maguire; Kieran Trippier, Jesse Lingard, Jordan Henderson, Dele Alli, Ashley Young; Raheem Sterling, Harry Kane. Tunisia: Mouez Hassen; Yassine Meriah, Syam Ben Youssef, Dylan Bronn, Ali Maaloul; Ellyes Skhiri, Anice Badri, Ferjani Sassi; Fakhreddine Ben Youssef, Wahbi Khazri, Naim Sliti.